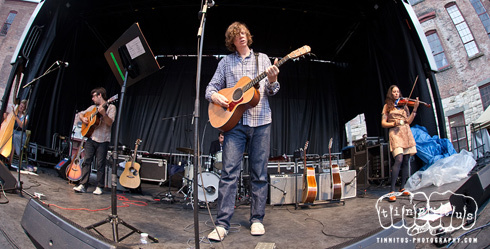 RtBE would like to wish a Happy 60th Birthday to one of our personal favorites, Thurston Moore. Just yesterday RtBE reviewed his ex-wife, Kim Gordon's newest release and mentioned that we were fans of her's for a long time. Sonic Youth came into RtBE's ears circa 1991. Goo had been out for a bit and was our first exposure to their noise-rock styling. While that album was solid RtBE happened to purchase Dirty the week it was released and were instantly hooked/transformed. 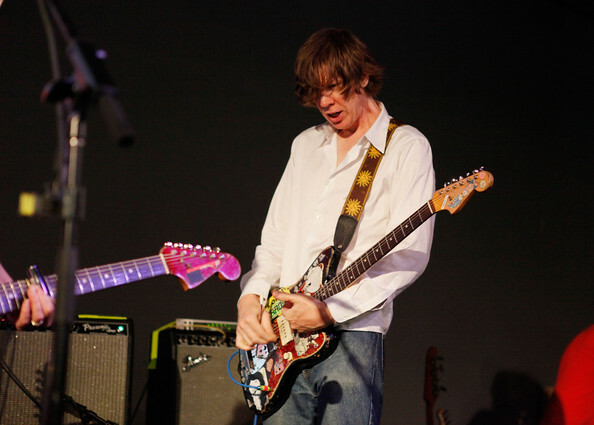 Kim and Thurston haven't left the brain for long over the years as they have consistently been engaging; Sonic Youth were an incredibly formative to our tastes and playing. From the first time we saw them, to bumping into Thurston on Broadway or Kim and Lee at various shows throughout the years, to reviewing later albums to attending the bands last American show, they have/and will always have a place in our heart. One of the coolest live moments for RtBE took place back in 2008. Moore and his guitar slinger in crime Lee Ranaldo crafted a whirling electric odyssey in the old Knitting Factory for a Fender Jazzmaster showcase celebrating the guitars 50th year. The tiny venue was excellent for them to showoff their interlinking style and sound. We also caught Moore at the Solid Sound Festival when he was focusing on his Demolished Thoughts record and messing around with Pillow Wand. Thurston himself has always been great to listen to, and direct us to cool tunes, as we loved his Chelsea Light Moving and past solo records a ton. Nothing tops Rock N Roll Consciousness though as his most recent release is amazing, so much so RtBE proclaimed it album of the year for 2017. RtBE were also lucky to catch the band on tour for that album as the walls of the Music Hall of Williamsburg were shaking with the loud, positive rock on this night. To celebrate let's listen to some songs. We will start with RtBE's favorite Moore's solo song, then continue with a story/interview/few acoustic live tunes before closing with the best Sonic Youth song (you can dive into the better extended version here if you got twenty five minutes to spare). Happy Birthday 60th Birthday Mr. Moore.